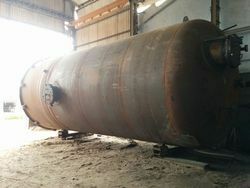 Prominent & Leading Manufacturer from Ahmedabad, we offer rubber lined acid pickling tank, rubber lined mobile tank, rubber lined acid storage tank, ebonite rubber lined tank, acid proof rubber lined tank and rubber lined tank. 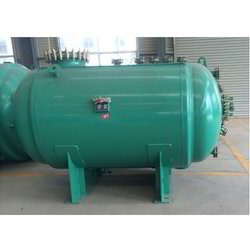 We design Rubber Lined Acid Pickling Tank according to the size and weight of load such as pipes, tubes, coil wires, bars, structural steel. Suitable for different acidic & Alkaline condition like Phospharic acid, HCL acid, Nitric acid, electro plating and metal surface treatment for heavy steel plant and tube industries. 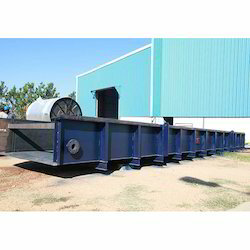 Our organization is instrumental in offering an extensive assortment of premium quality Rubber Lined Mobile Tank. We are offering a range of Rubber Lined Acid Storage Tank that is available in different sizes and shapes. These Ebonite Rubber Lined Tank have a lining of a special grade of soft plasticized PVC. The flexibility of the coating makes it to adjust differences in thermal expansion between the plastic and the steel, moreover if any stresses are produced then that can also be absorbed. The coating which is firmly bonded to the steel can be used at temperatures up to 70 degree C.
These PVC lined tanks are tailor-made for all types of plating solution, including bright and hard chromium, and for the storage of wide range of chemicals. 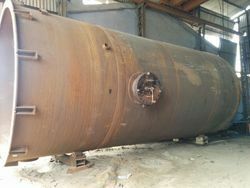 We are offering Acid Proof Rubber Lined Tank. We are offering Rubber Lined Tank. 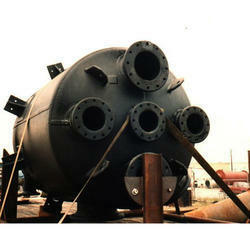 We are offering Abrasion Resistant Rubber Lined Tank.